Even a local move can benefit from a professional moving company's assistance. Let Simonik Transportation & Warehousing provide you with an affordable local moving solution based on your unique needs. We are the New Jersey movers focused on providing the residents of Central New Jersey, Southern NJ, Philadelphia and the surrounding areas with stress-free relocations. A local move should be customized to meet your needs, as well as be affordable. Thinking of packing yourself and just want a mover to handle the loading, transportation and unloading of your goods? Have high-value art or sentimental heirlooms that need special packaging? Or perhaps you want a full-service local moving solution. Whatever your needs, we offer solutions for all types of local moves. Full Replacement Valuation Coverage: We offer $50,000 free valuation coverage on all Local Movers within New Jersey. This is a $250 value. Ask our customer service or sales representatives for details. 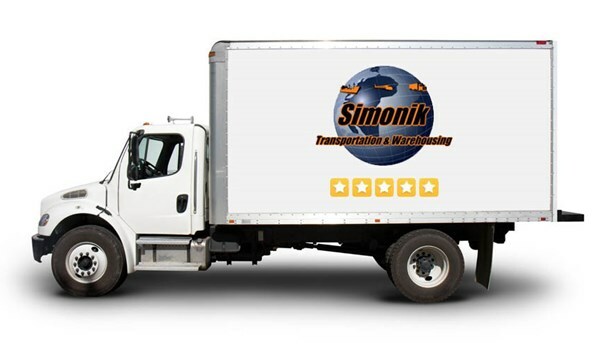 Let Simonik provide you with the best local move you'll ever have. Contact us todayto hear more about our local moving services. Fill out our quote form for your free moving quote right now and work with the local moving company who excels at relocation solutions.